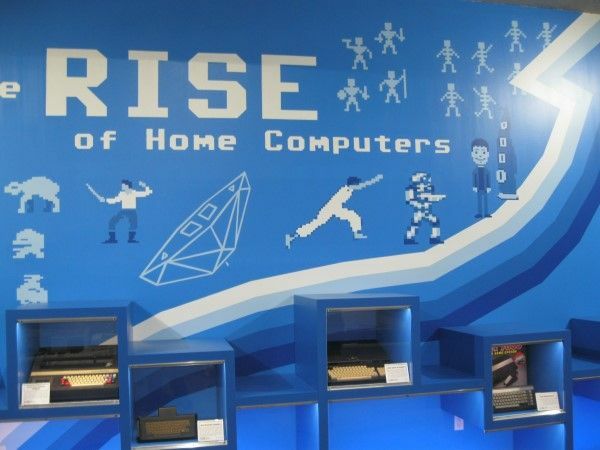 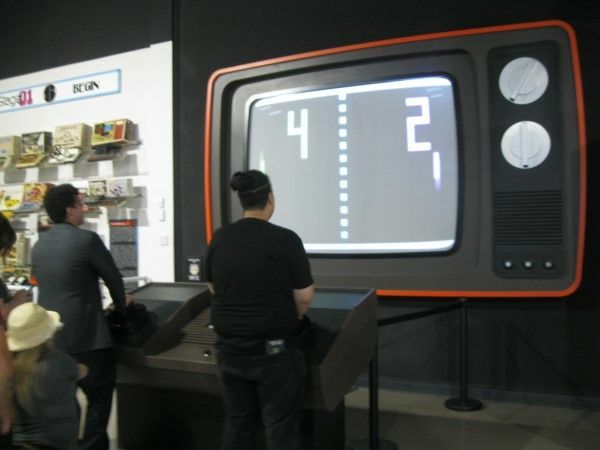 Located in Frisco, Texas - within the facility that houses an art gallery, community theater and science discovery zone - The National Videogame Museum opened this weekend to a massive influx of eager gamers. 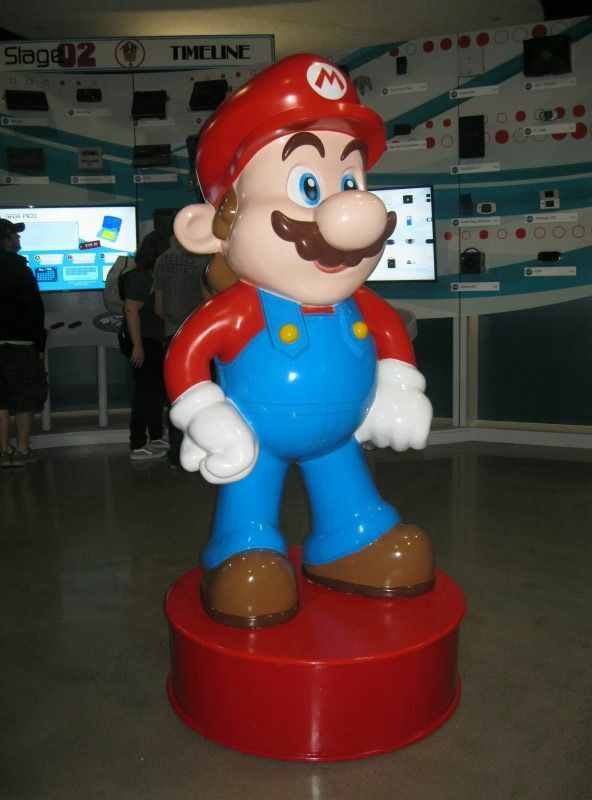 Children of all ages were in attendance, some waiting as long as two hours to make their way into the museum proper after the doors were opened on Saturday morning. 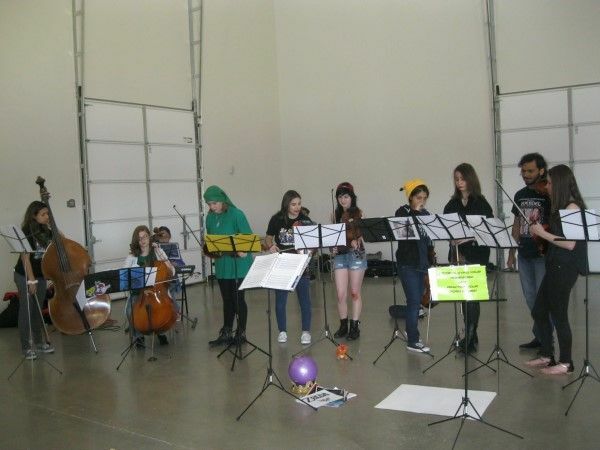 Thankfully, the weather was fair and and local orchestral students were on-hand to play come classical gaming themes to amuse the crowd while they waited. 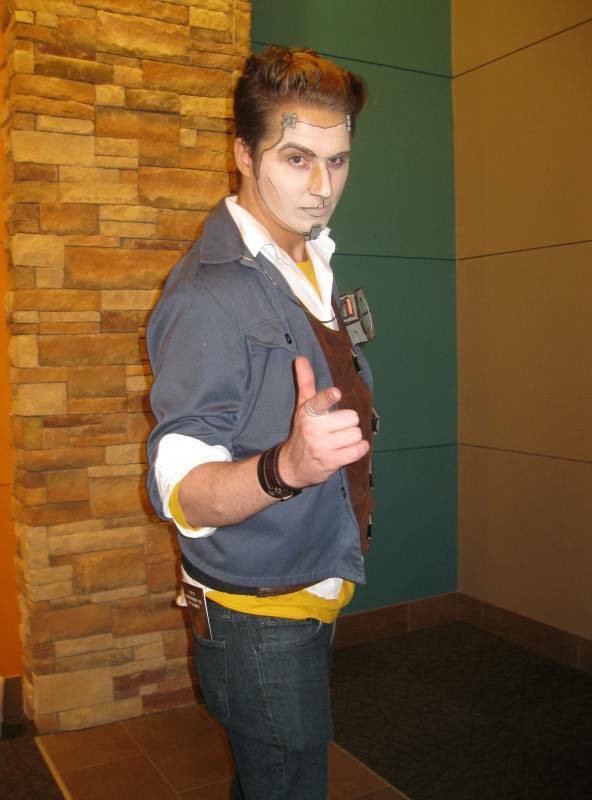 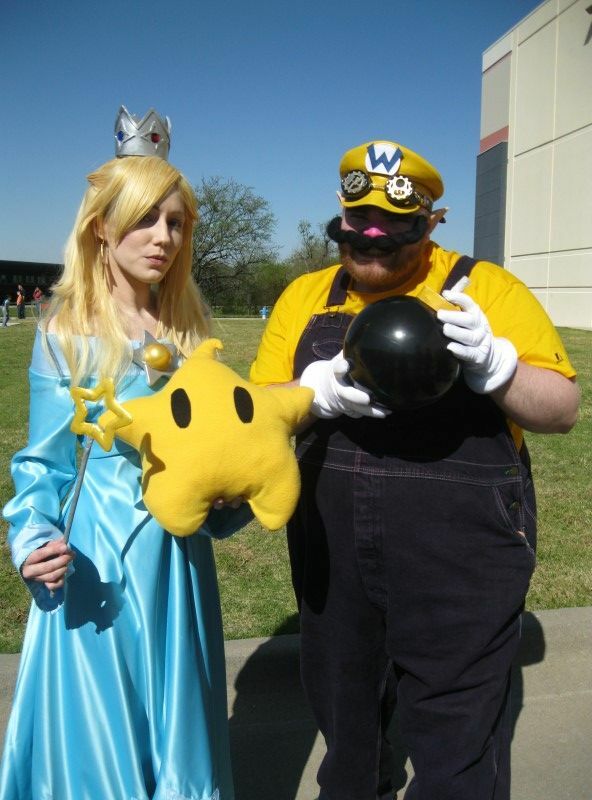 There were also a number of video game cosplayers on-hand. 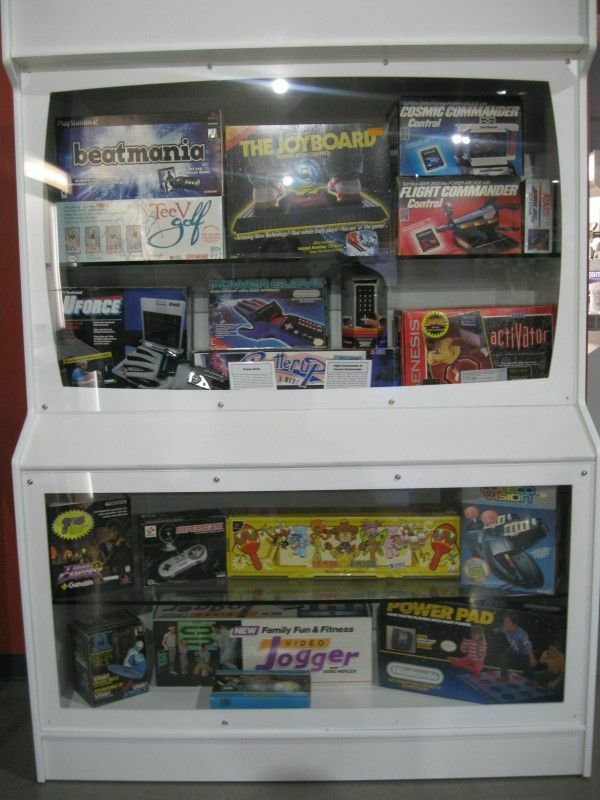 The museum itself is laid out in an open fashion, with different alcoves displaying the exhibits behind protective glass. 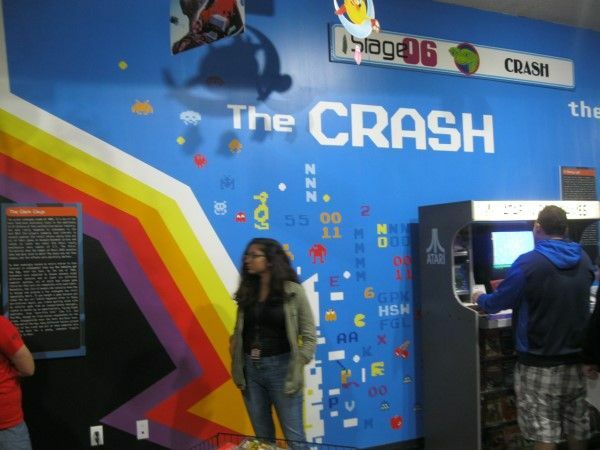 The display areas are largely centered around key historical points such as the early days of gaming (complete with a giant Pong game), the development of the home-computer and the North American Gaming Crash of 1983. 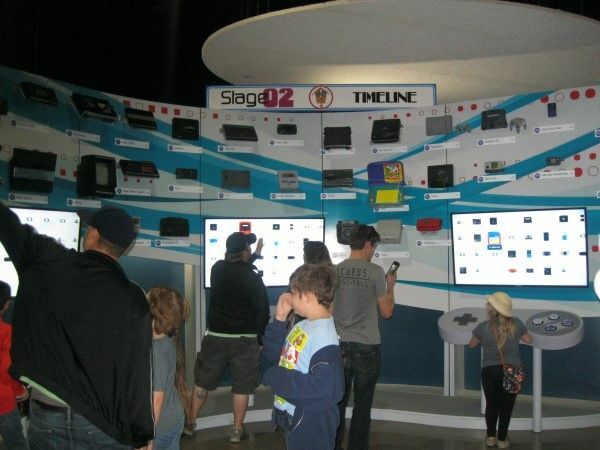 One of the better interactive exhibits is the timeline of game consoles one encounters upon entering the museum. 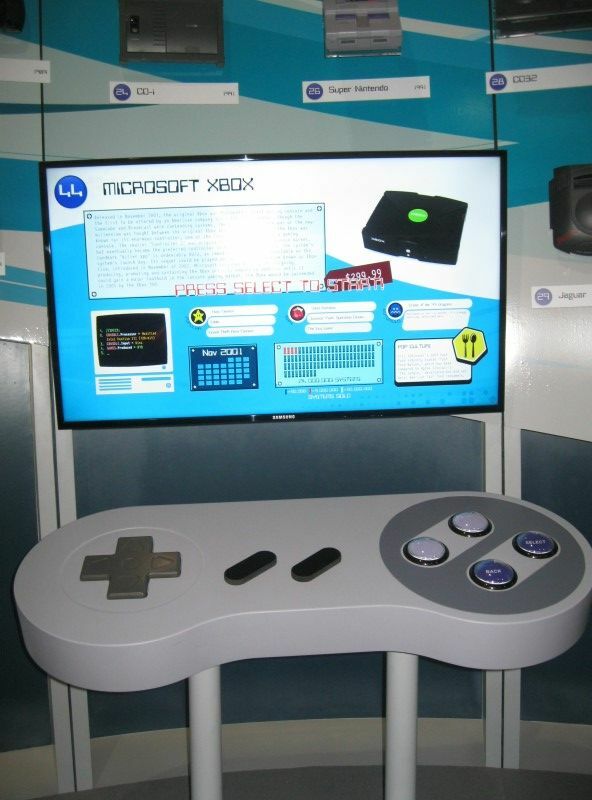 A special display, designed like a giant SNES controller, allows patrons to read a brief history of all the consoles on display and many more! 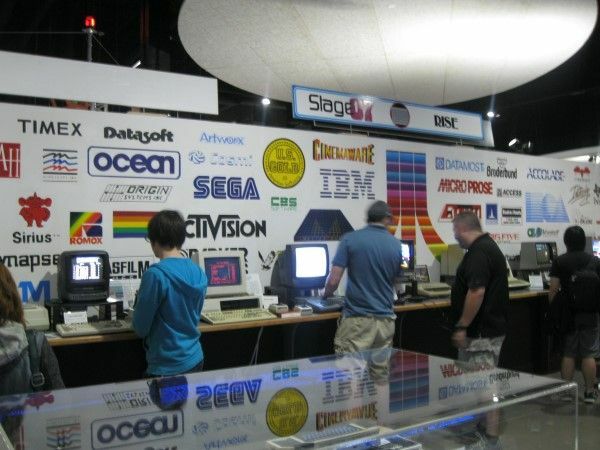 Of course there's more to see than old games and gaming systems. 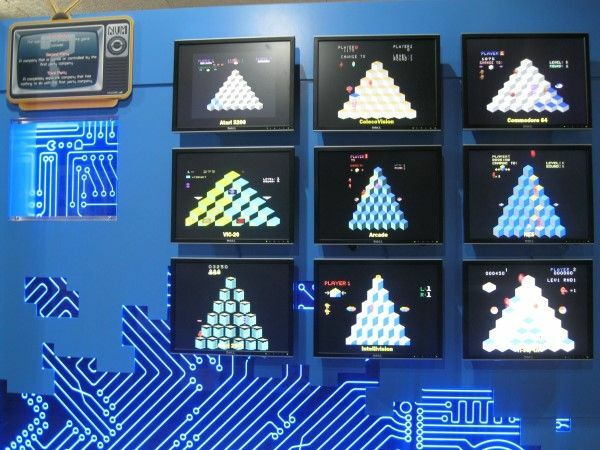 There's also exhibits, like a display showing the differences between how various games - in this case, Q-Bert - appeared on different systems. 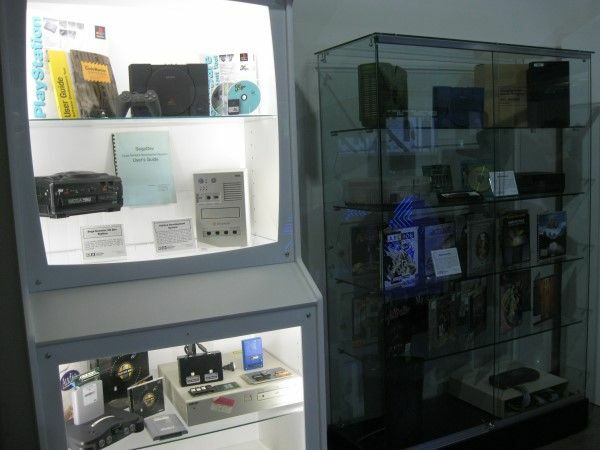 Other areas of the museum are devoted towards key innovations, such as the development of portable electronic games and specialized controllers. 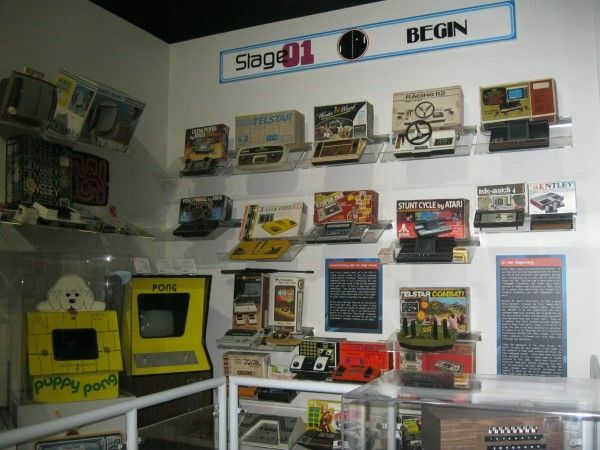 There were also areas devoted towards more general concepts, such as computerized music, creative games that allowed the player to build things and on-line gaming. 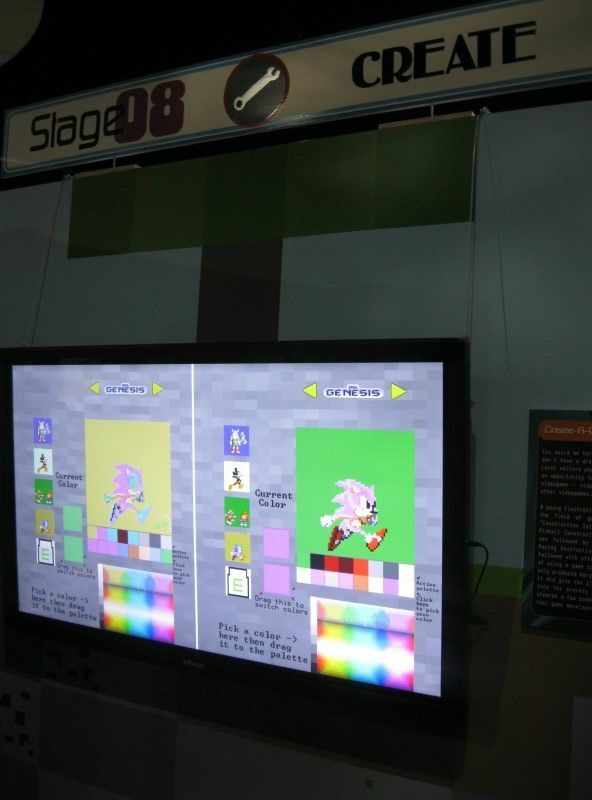 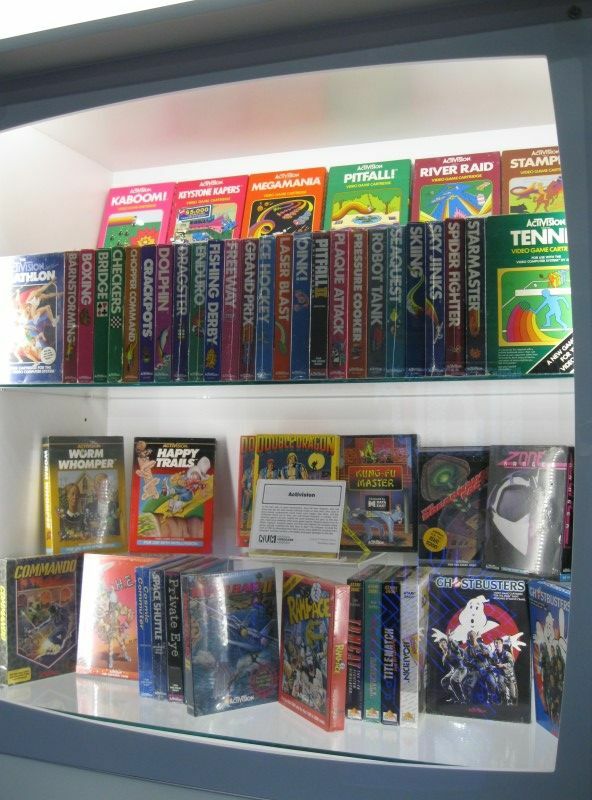 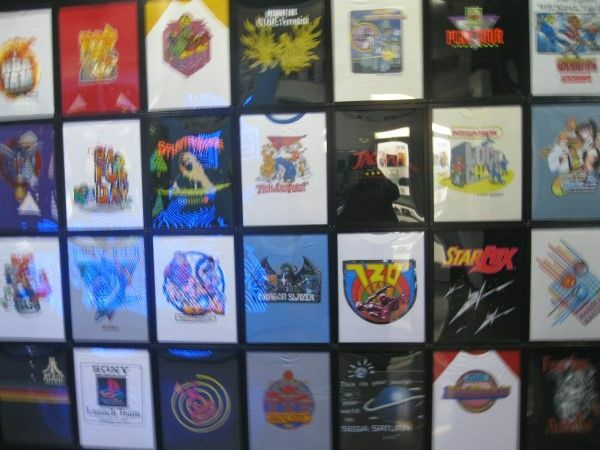 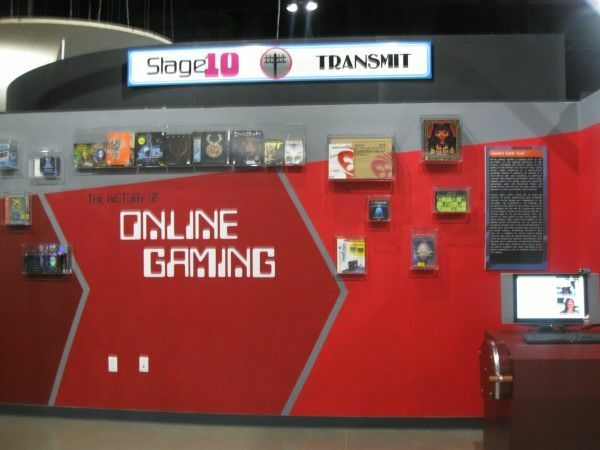 The museum also features exhibits devoted toward gaming merchandise and promotional materials. 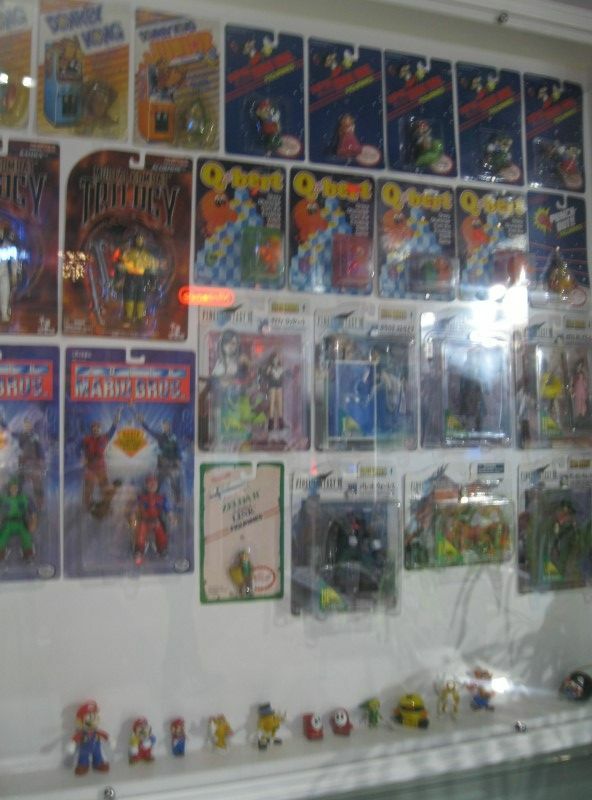 This includes statues of Mario and Dracula (a display for one of the Castlevania games) as well as sections devoted toward t-shirts, action-figures and other collectibles. 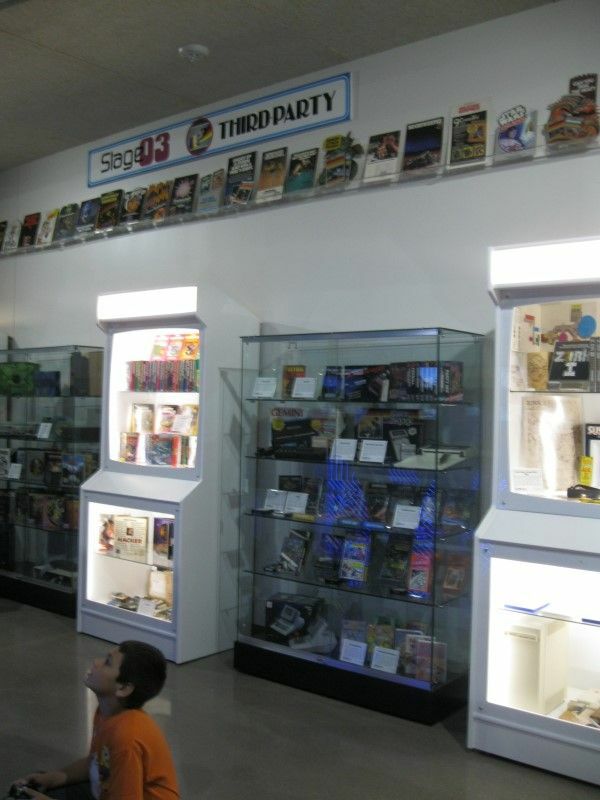 There's even a special section devoted to board games based on video games! 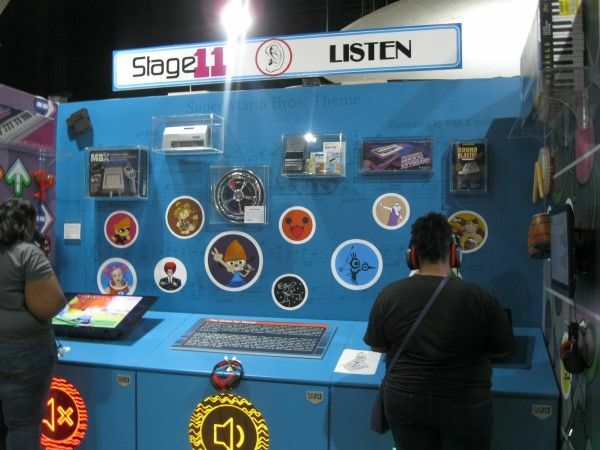 One of the most unusual exhibits is devoted toward examining how home-gaming systems changed the nature of the industry and how the arcades eventually lost out once gaming systems were able to match the computer power of a cabinet-based game. 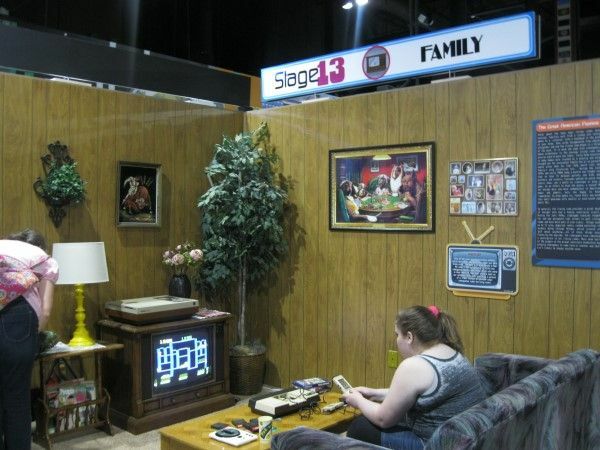 The exhibits are built to resemble a common 1980's living room and a 1980's tween's bedroom. 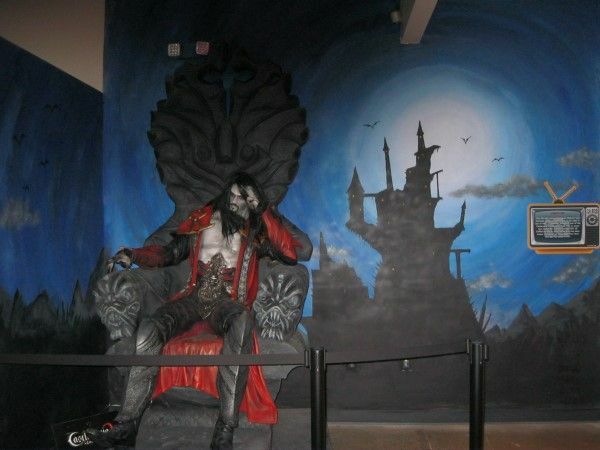 Local artists were brought in to handle the decoration of the museum. 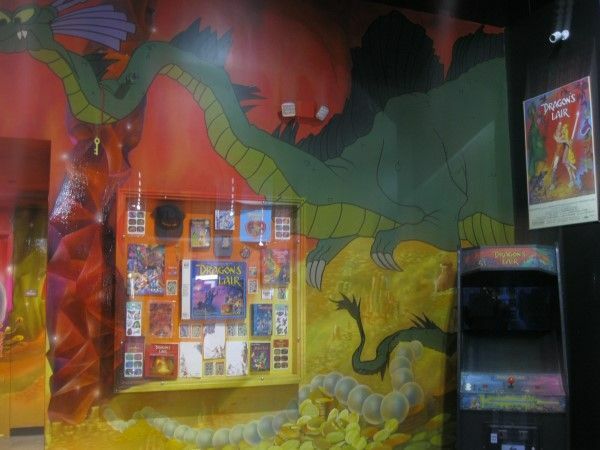 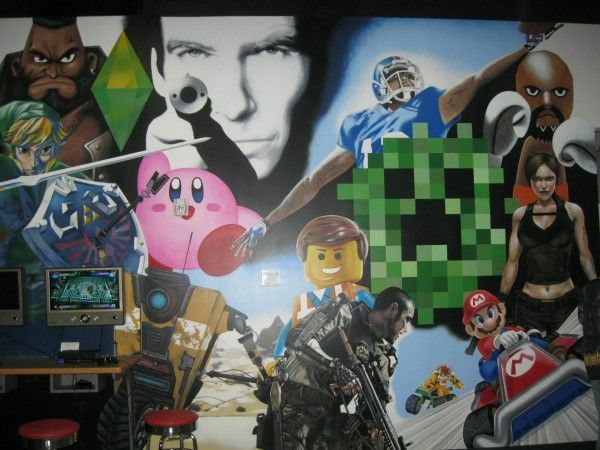 There are a number of stunning murals around the complex, including one of the greatest heroes and villains of the gaming world, overlooking the free-play area, where the classic games of yesteryear can be enjoyed hands-on. 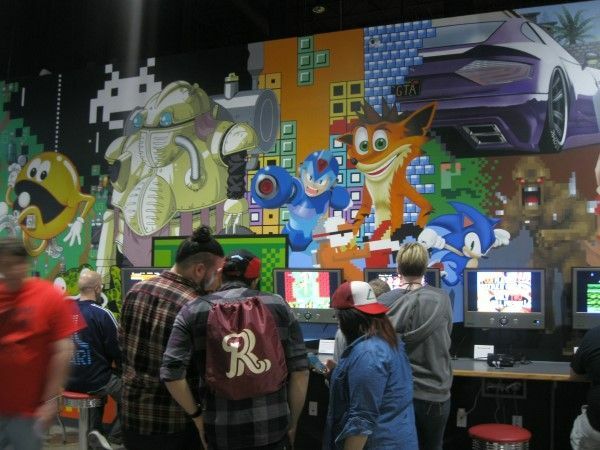 After all, it wouldn't be much of a gaming museum if you couldn't play some games, now would it?! 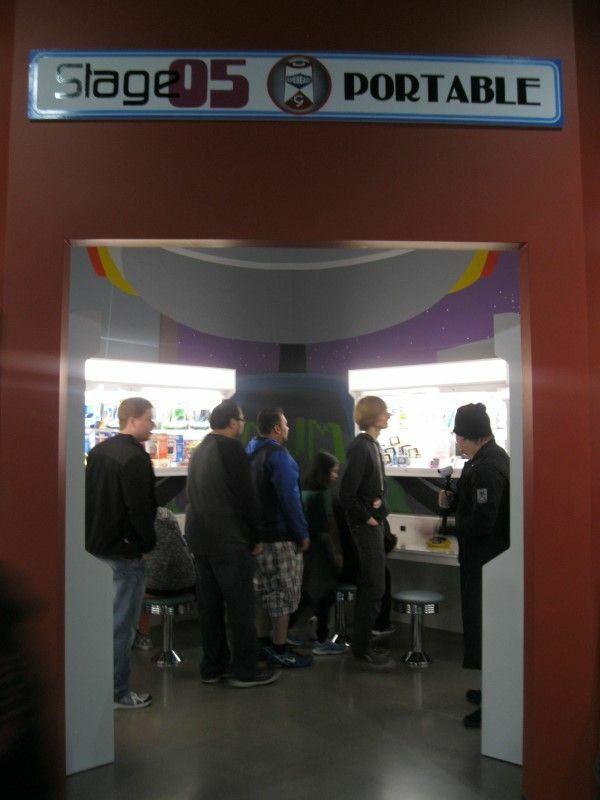 The artists did a great job of seamlessly blending into the architecture. 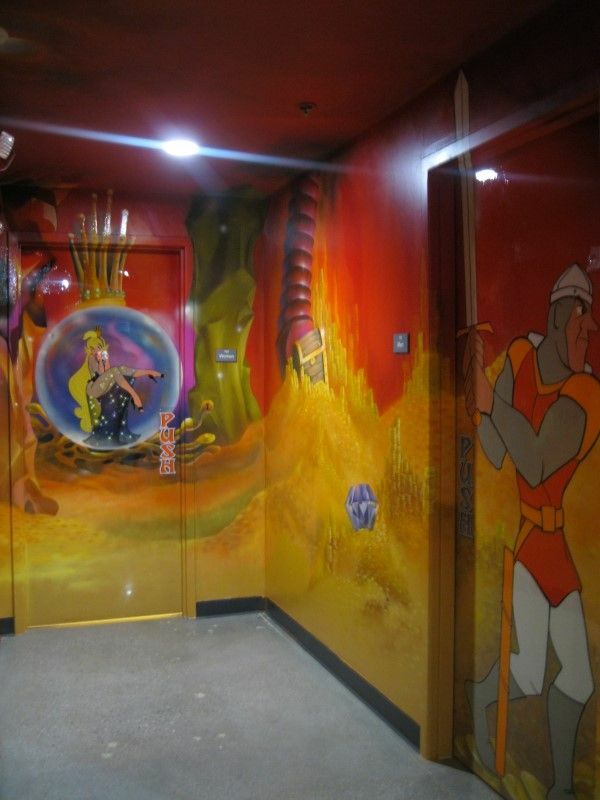 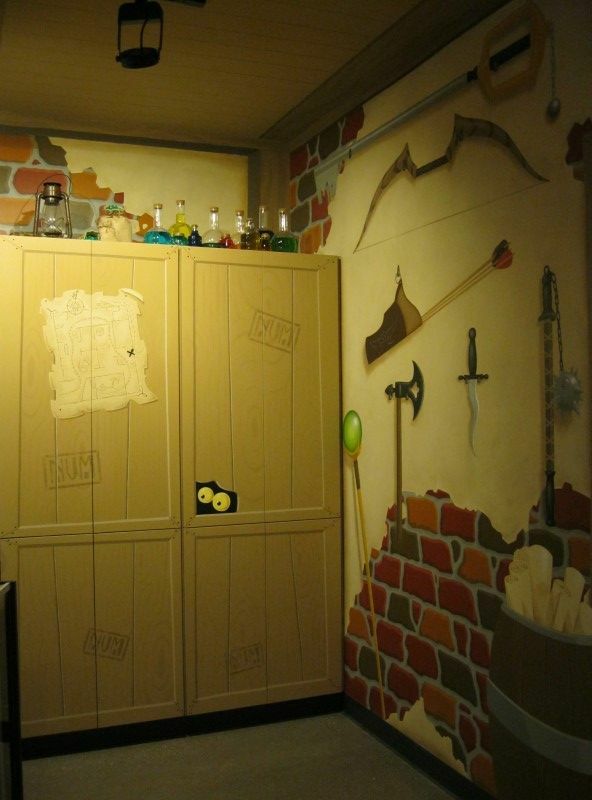 One amusing touch is that the restrooms, which are located in the same corner as a small alcove devoted towards Dragons Lair, manged to mark the doors with Dirk The Daring and Princess Daphne without interrupting the mural. 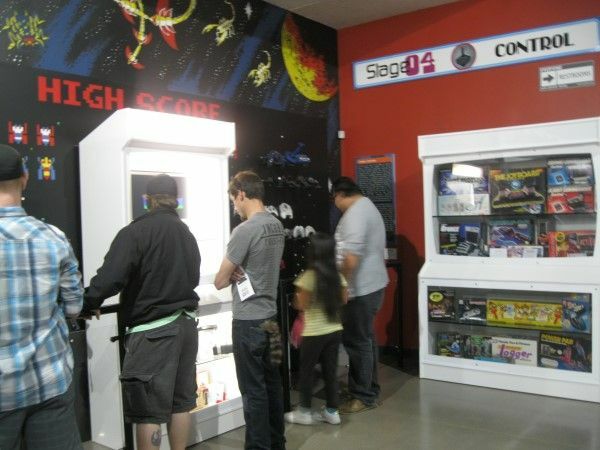 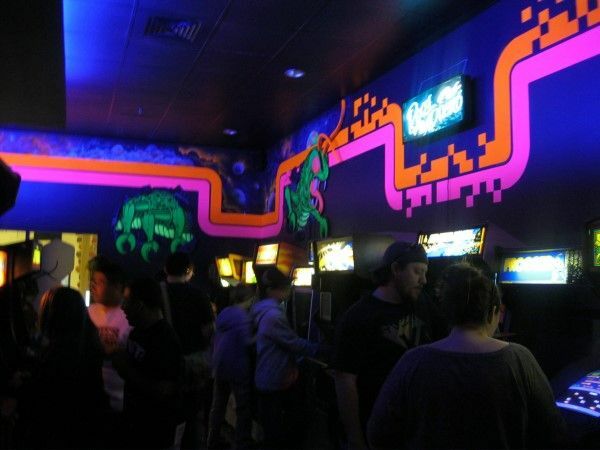 The exit area of the museum includes a classically-designed arcade area, with working games. 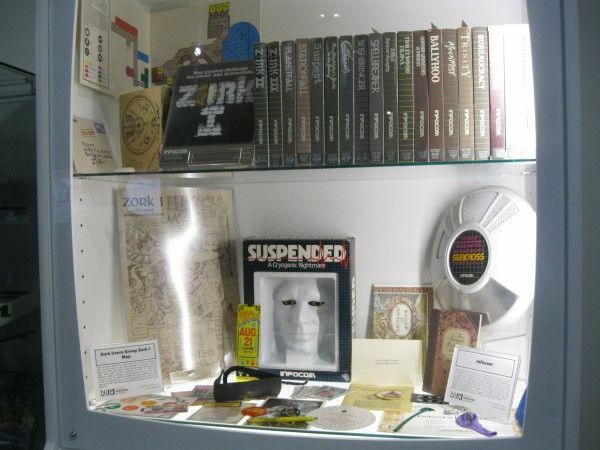 Don't worry - the admission price includes some complementary tokens, with extras available for purchase. 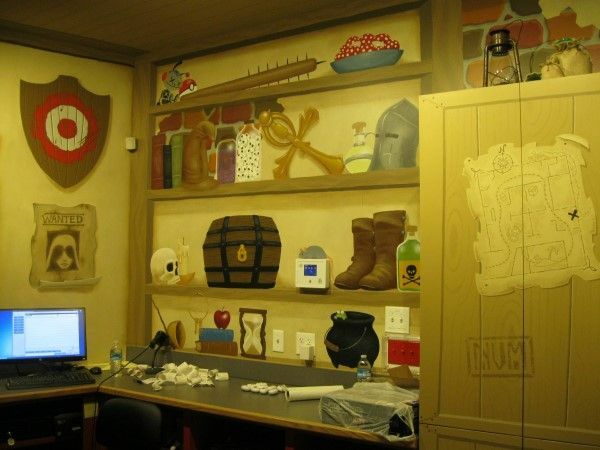 And the gift shop was designed to resemble a merchant's store from a role-playing game, with several familiar items on the walls and shelves behind the counter. 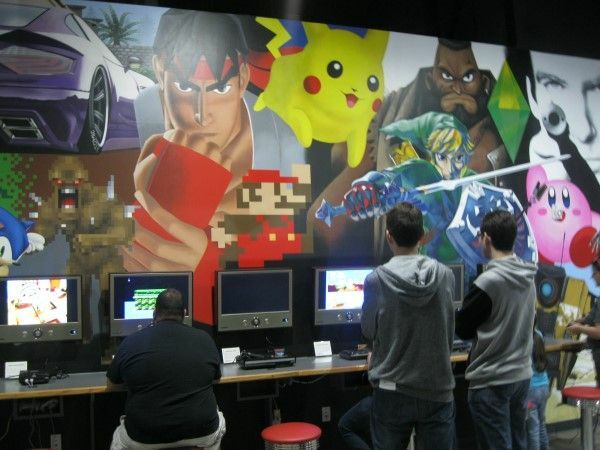 All in all, it's a fine museum and a fun place to spend some time if you're a gamer.